Rooftop Barbeque is a team, a competition sauce and now a rub, from the minds of Andy Allen, Kellen Wagoner, Joe Angelone, and Keith Henson of Southern California. Launched in 2009, the Team has competed and won numerous awards. 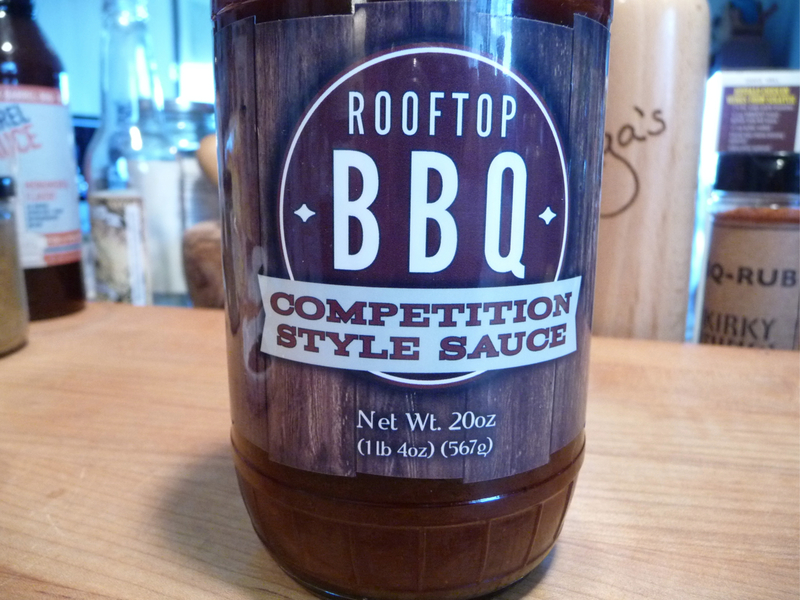 Speaking of awards, their Rooftop Barbeque Competition Style BBQ Sauce, launched in May of 2011 and featured here, has garnered them awards in almost every category at competitions from chicken, to beef to pork. They continually sell out of their sauce at almost every event. High praise indeed. We’ve had Rooftop BBQ sauce on chicken, MOINK Balls, and ribs. It never failed to impress. 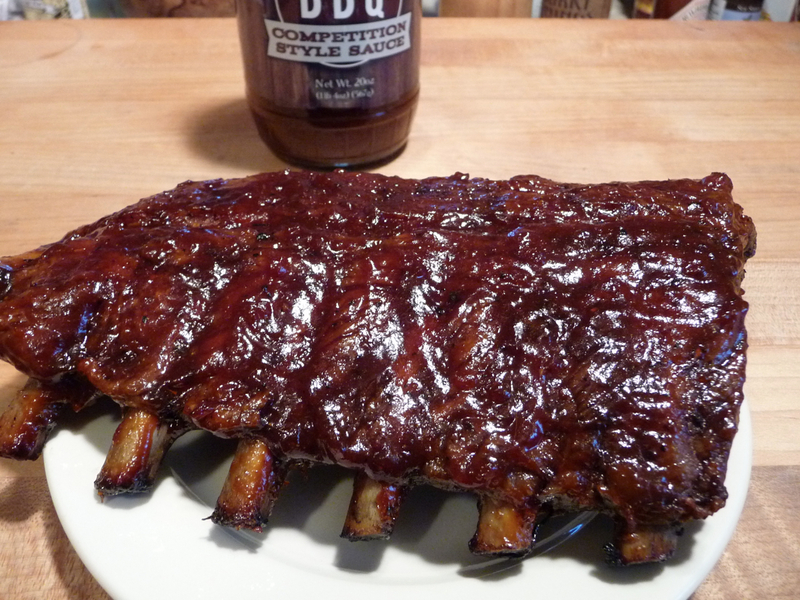 As a fan of the sweet, sticky Kansas City style of BBQ, I have to give Andy props for coming up with not just the traditional sweet molasses-based BBQ sauce, but one that adds an extra dimension of flavor by adding butter and vanilla to craft a depth of flavor that most BBQ sauce manufacturers fail to deliver. The first impression out of the bottle is of a thick, somewhat sweet sauce that packs a bit of a heat punch. This sauce is so thick that when cold, you’ll need a knife or spatula to coax it out of the bottle. Once delivered to a warm slab of ribs, hot grilled wings, or fresh-off-the-grill Moink balls, the sauce melts into a perfect sticky glaze that will keep you licking your fingers til you finish that last wonderful bite. There is a level of heat provided by the chipotle powder that may be a little too much for the standard sweet BBQ sauce lovers (aka Sweet Baby Rays), but for those who like a little heat with their ribs/wings/pulled pork, Rooftop is spot-on. As readers of our blog know, we are not big fans of heat in our BBQ sauce. But Rooftop BBQ has tempered the heat of the chipotle pepper with the addition of butter and vanilla to this sauce. 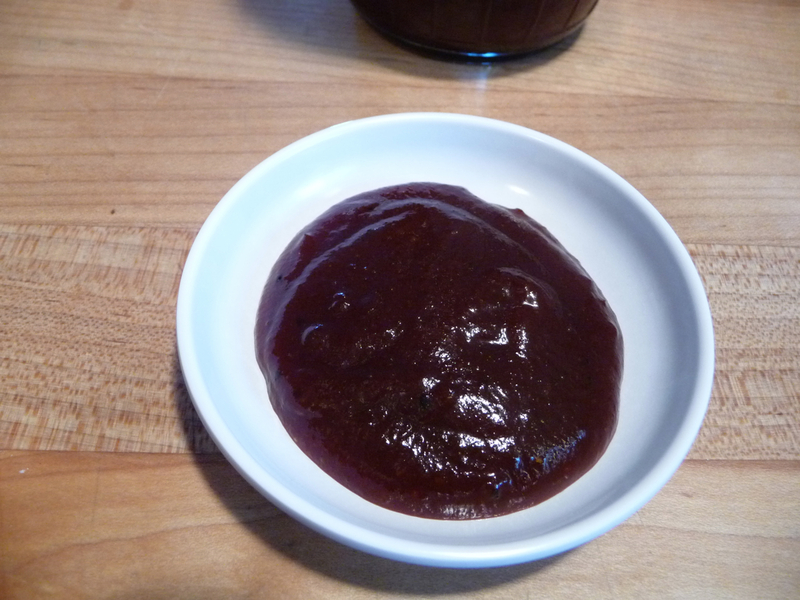 The end result is a deliciously sweet sauce with a warm undertone and a great feel on the tongue. Rooftop BBQ now also offers a Jalapeno Peach Jam (I love me the peach!) that we have yet to try. And recently, in February of 2012, their competition rub has completely sold out. They’re working on getting more into production as I write this. We’re looking forward to trying these, and any other products that Andy, Kellen, and Rooftop BBQ have in store! Heat Rating: – quite spicy – they’ve reported to us that they get requests to make an even spicier version. Wow! Overall Rating: – A great sweet, sticky sauce with a punch of heat. 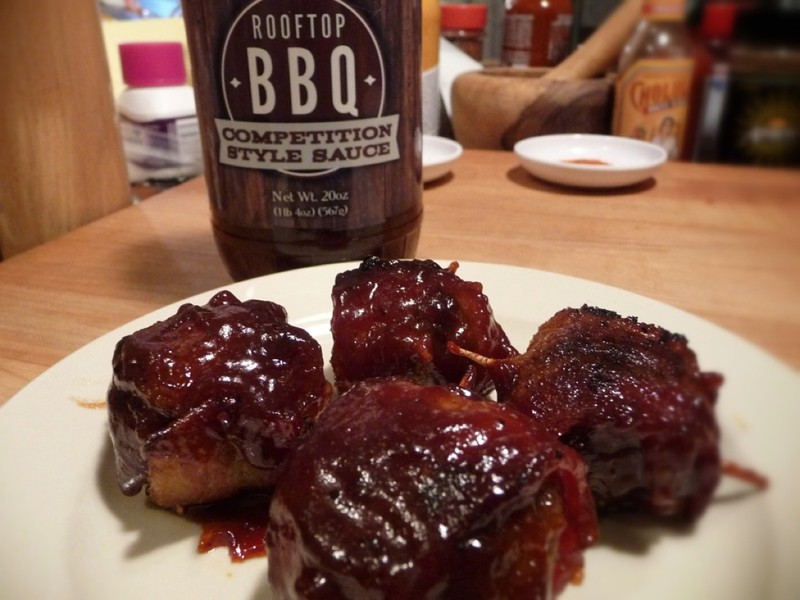 Hop on over to http://rooftopbarbeque.com/ and try some of their amazing products! I promise you will not be disappointed!